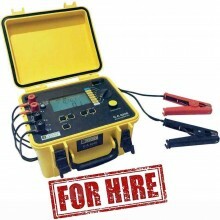 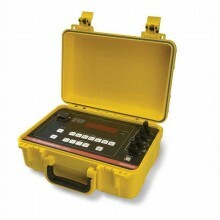 Includes: DLRO10HD Dual Power 10A Low Resistance Ohmmeter, DH4-C Connect Duplex Handspikes, Lid-Mounted Test Lead Pouch, DLRO10HD User Guide on CD, Warranty Book. 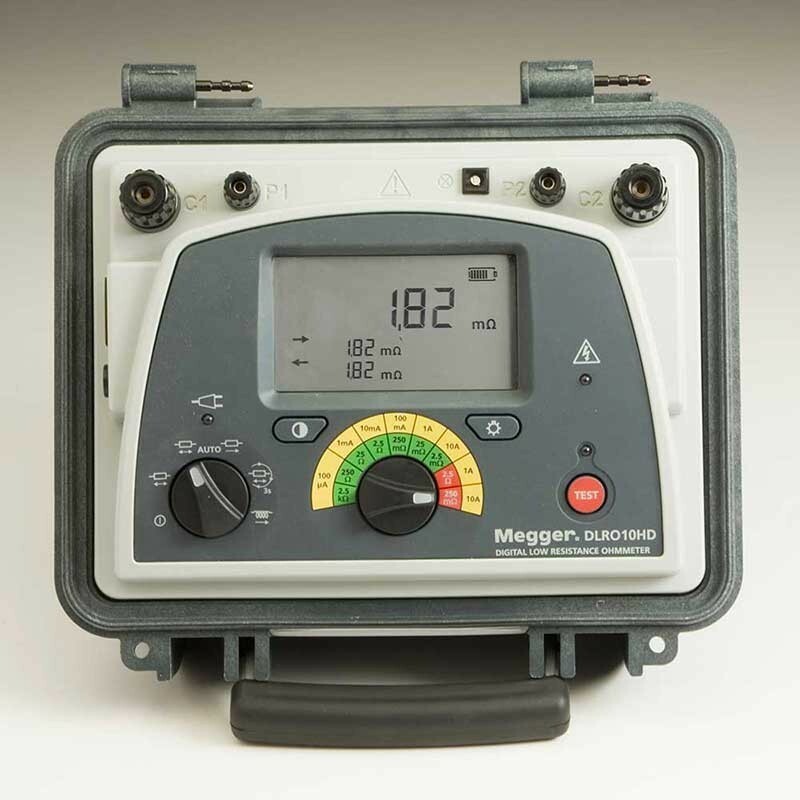 Equally at home in the laboratory, the workshop or in the field, on the bench or on the ground, Megger’s heavy duty DLRO10HD low resistance ohmmeter combines rugged construction with accuracy and ease of use. 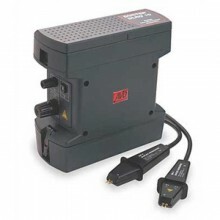 It features an internal rechargeable battery and can also operate from a mains supply, even if the battery is completely flat. 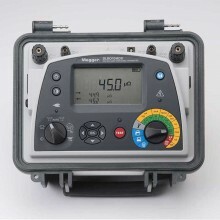 The Megger DLRO10HD is well suited to measuring thick conductors, bonds and quality of welding because of its 10 A range for resistance values up to 250 mΩ. 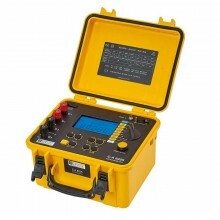 The instrument provides five test modes each of which is selected through a simple rotary control. 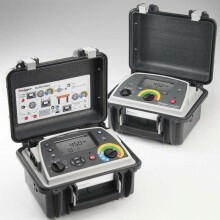 The five operating modes include two automatic modes that sense connection of the probes to minimise test time and increase productivity. 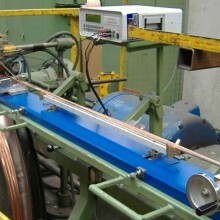 To overcome thermal EMFs current is passed through the unit under test in both directions and the resulting resistance averaged. 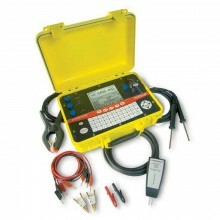 High or low output power selection for condition diagnosis. 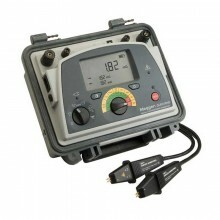 Rechargeable battery or line power supply, continuous operation, even with dead battery. 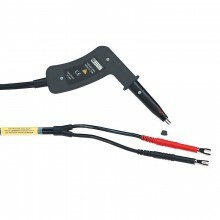 10 A for 60 seconds, less time waiting to cool, great for charging inductance. 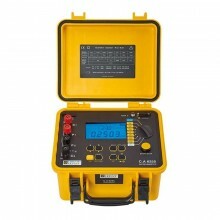 High input protection to 600 V, inadvertent connection to line or UPS voltage will not blow a fuse. 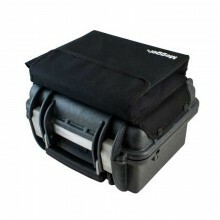 Heavy duty case: IP 65 lid closed, IP54 operational (battery operation only). 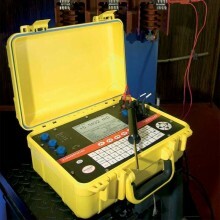 Rotary switch selects one of five test modes, including auto start on connection. 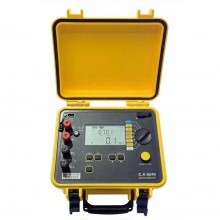 Although the DLRO10HD is not designed as transformer ohmmeter, it is fitted with a test in progress lamp associated with the TEST button, which indicates that current is flowing in the C1-C2 loop. 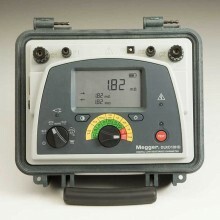 This lamp and a warning triangle on the LCD will flash at end of a test on an inductive load whilst a discharge current is still flowing and will stop flashing when the current has decayed to less than 1 mA. 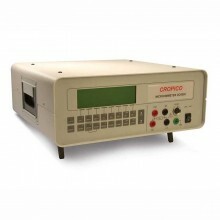 * The accuracy stated assumes forward and reverse measurements. 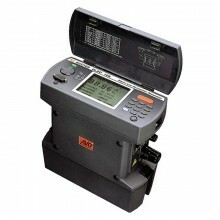 Display size/type Main 5 digit + 2 x 5 digit secondary displays. 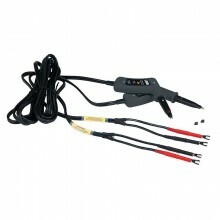 Battery type 6 V, 7Ah sealed lead acid. 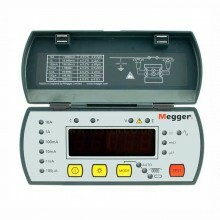 Voltage input range 100 - 240 V 50 / 60 Hz 90 VA. 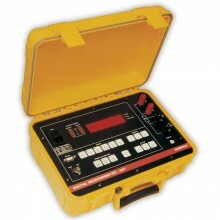 Battery life >1000 Auto (3 sec) tests. Operating temperature and humidity -10 °C to +50 °C. 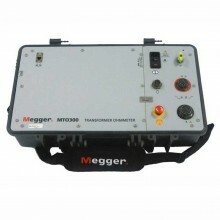 EMC In accordance with IEC61326-1 (Heavy industrial). 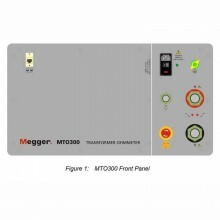 Maximum lead resistance 100 mΩ total for 10 A operation irrespective of battery condition. 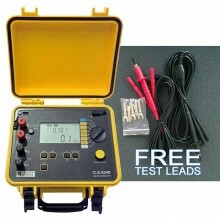 Pouch for test leads Yes (lid mounted). 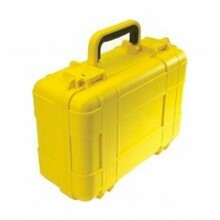 IP rating IP65 case closed, IP54 battery operation. 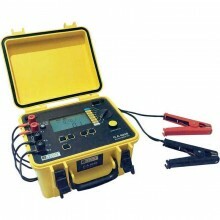 Dimensions (L)315 mm x (W)285 mm x (H)181 mm. 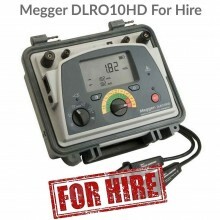 Megger DLRO10 HD warranty Two years. 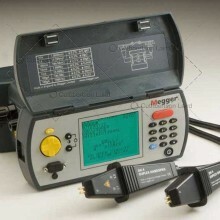 PDF Specifications of the Megger DLRO10 HD Dual Power 10A Microhmmeter.